Visitors to Anwyl Homes’ developments across North Wales, The North West and Lancashire enjoyed a cuppa and a cake for a good cause recently, helping to raise £1288 for Macmillan as part of its World’s Biggest Coffee Morning campaign. 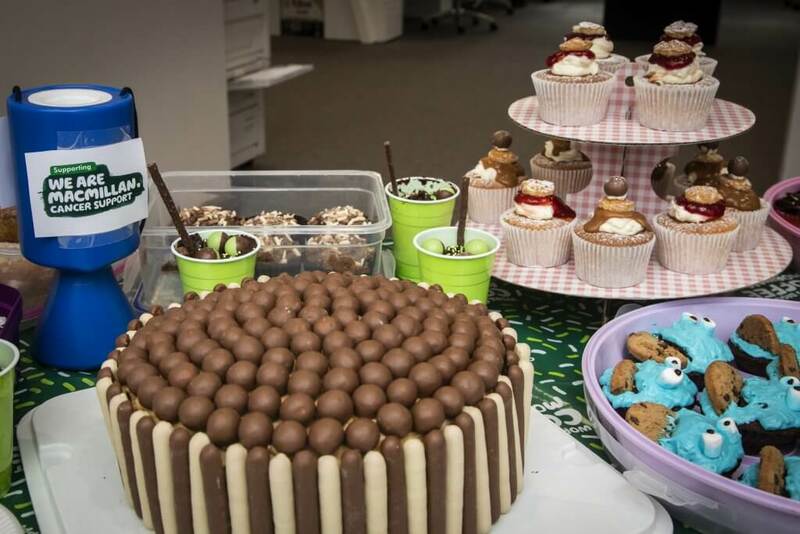 Taking place annually at the end of September, the World’s Biggest Coffee Morning is Macmillan’s biggest fundraiser to help those facing cancer. Last year, the event raised £27 million and the intention is to exceed that figure this year. One in every two people in the UK will suffer from cancer and there are currently millions of people living with the disease across the country. Macmillan provides medical, emotional, practical and financial support, not just for suffers, but for their friends and family too, ensuring that no-one has to face it alone. To help support this worthwhile cause, Anwyl Homes hosted a coffee morning at 14 developments across the North Wales, Cheshire and Lancashire, as well as two events at our Head Office in Flintshire. Visitors to each development were offered a choice of tea or coffee and a deliciously tempting cake in return for a small donation to Macmillan. “With footfall to our developments busy most days, we were hopeful that we could generate a significant amount for Macmillan and are delighted that our generous customers have helped us raise £1288.